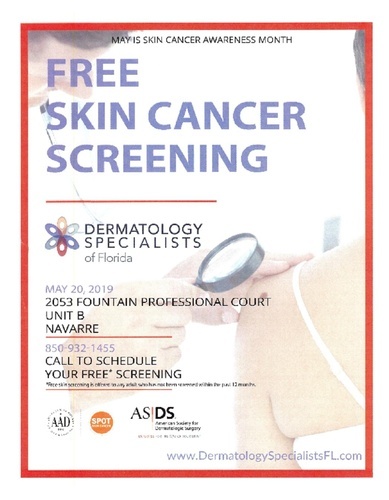 Dermatology Specialists of Florida is doing FREE Skin Cancer Screenings on Monday, May 20, 2019 at 2053 Fountain Professional Court, Unit B in Navarre. Call 850-932-1455 to schedule your FREE* Screening. * Free skin screening is offered to any adult who has not been screened within the past 12 months.